JAPAN: Distributed by Conc Records. Phil Ochs meets PF Sloan with The Band. "Great tunes with fantastic melodies and slightly twisted but generally heartfelt lyrics" The New York Times (review of a previous Mannix project). Joe Mannix is a key figure of the New York City songwriter underground, hosting monthly showcases and building a cult reputation with raves from the NY Times, Washington Post and media/airplay in the UK, Spain, Japan, France and more. Joe is constantly touring and garnering airplay, fans and a reputation as a formidable live act either solo or with his trio ("with melody and muscle...the band and their leader held court from the get go" Amplifier, Feb. 2003). 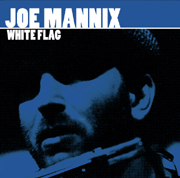 This is Joe’s first solo album (there were two acclaimed CDs with his pop rock band, Mannix). Recorded in an old dark church in Hamilton, Ontario, Canada, with the cream of that city’s roots musicians - spearheaded by producers Glenn Marshall (a Daniel Lanois engineer) and Canadian roots pop icon Dave Rave (Teenage Head, The Shakers). The Catherine North Studio was wired by Bob Lanois (brother of Daniel). The result is a kind of sweet blend of The Band, Phil Ochs, Dylan, PF Sloan, John Mayer, David Gray, Jim Croce; familiar and yet brand new at the same time, a comfortable warm wind of Americana blowin’ down the winter cobblestone streets of New York’s East Village. The sound of the New York City new folk underground. Originally self-released & now on Bongobeat with new artwork & remastered.